The hours are ticking down to Super Bowl LI, a hotly anticipated contest between perennial contenders New England Patriots and the upstart, high-flying Atlanta Falcons. As an avid American football fan and ardent birder, I may be uniquely qualified to predict the winner of the NFL Championship this year. That’s why, without actually evaluating the talent, chemistry, coaching, or momentum of either team, I feel qualified to answer the question so many fans have been asking. Of course, the team who conquered the best of the NFC can win the Super Bowl. But will they? Will the Atlanta Falcons actually win the Super Bowl? Based on team name alone, NO. Avian-themed teams simply don’t do very well in the big game. In the previous 50 Super Bowl match-ups, only thrice has a football team named for a bird emerged victorious. The Baltimore Ravens crushed my beloved New York Giants in Super Bowl XXXV (2001) and followed that up later with a win in Super Bowl XLVII to become football’s finest feathered franchise. In Super Bowl XLVIII, the mighty Seattle Seahawks took a title, though they lost the following year to the aforementioned Patriots. Analysts ascribe New England’s dominance in the modern era to the Belichick-Brady axis of insane preparation and execution. But could the team’s name be a factor? Teams named for Homo sapiens historically do better in this game. In an astonishing 33 of 50 contests, an organization named for a meat (not cheese) packer, chieftain, cowpoke, steel worker, indigenous American, gold miner, U.S. nationalist, holy person, or some species of pirate has won it all. This isn’t even including victories by that fantastic franchise named for sufferers of gigantism. Considering how humanity treats birds around the world, this is clearly a case of sports imitating life. This year may, of course, be different. 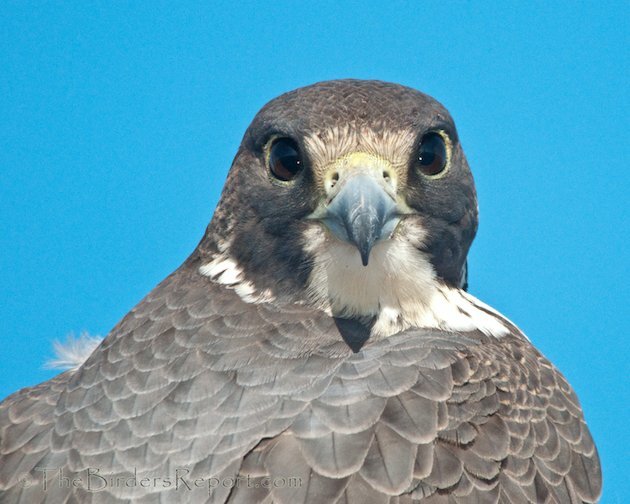 For one thing, falcons are amazing, combining speed, strength, and agility in a sleek and deadly feathered package. Plus, they are among the coolest creatures you’ll ever see. The Atlanta Falcons aren’t bad either this year, especially when it comes to putting points on the scoreboard. If you can bring yourself to do it, you might even go ahead and root for them to prevail.. or join others in rooting for the Patriots to fail. But don’t be surprised to see the Falcons falter just as the Cardinals did in 2009 and the Seahawks did in 2006 and the Eagles in 2005. Sure the Patriots are a modern football juggernaut, but, for the Falcons, it may be that the burden of a bird-themed team name is too great to overcome! Care for a Bird Song Quiz?